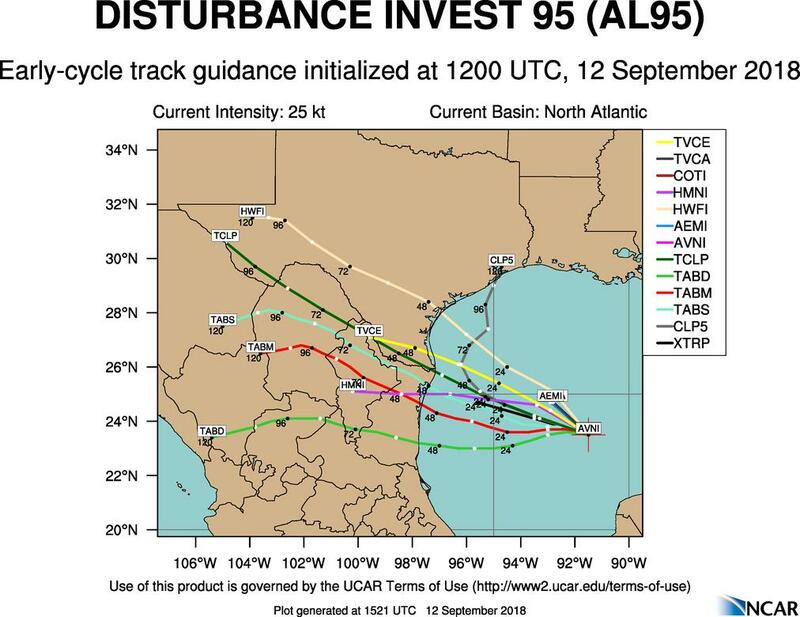 On September 10, a Tropical Depression disturbance caused Texas Governor Greg Abbott to activate the State Operations Center (SOC), a team of public and private partners that monitor threats and coordinate emergency assistance to local governments. Weather forecasters and emergency officials along the Texas Gulf Coast have been monitoring a disorganized cluster of storm clouds gathering in Mexico’s Yucatan Peninsula. As of 7:30 pm, formation chance through the next 48 hours is 70%. While the forecast for this system shouldn’t panic anyone, TFFA is taking every precaution necessary considering how quickly the weather can change during events like this. Given the rainfall already received in a wide area from coastal areas inland, concern is mainly focused on small stream, river, and localized flooding. While there has not been any discussion about the storm system stalling over a particular area, that is always a potential. Thus, rainfall amounts can vary greatly from what is forecast and local conditions. Along the Texas Coast – Isolated Flash Flooding potential beginning tomorrow (Thursday, Sept. 13th). This system is currently just a strong set of storms, with the high potential to form into a Tropical Depression over the next 12 hours. 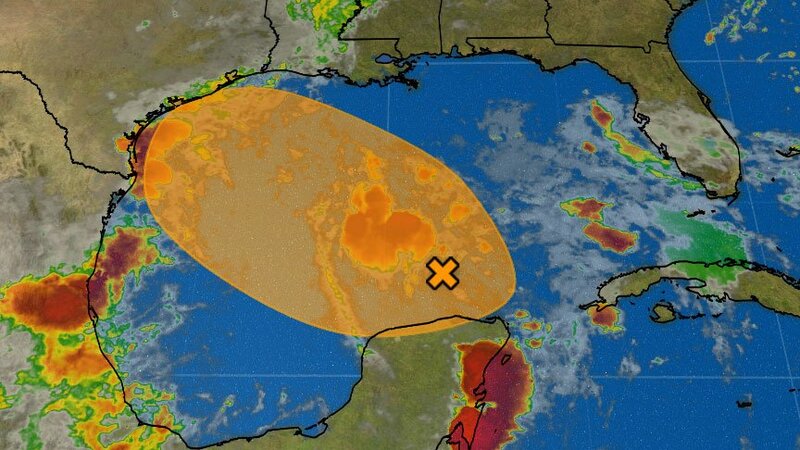 It is expected to continue to move towards the Texas coast with land interaction beginning on Friday. Rio Grande Valley up through Coastal Plains - Isolated flash flooding beginning on Friday. This will be localized depending on the amount of rainfall received previously and saturation point of the soils locally. Hill Country, San Antonio, Rio Grande Valley – Isolated flash flooding potential on Saturday, possibly through the weekend depending on the speed of the system once it comes on-shore. The Texas Commission on Environmental Quality (TCEQ) rule on Reid Vapor Pressure (RVP) gasoline sets a transition date of October 1 — two weeks later than the Environmental Protection Agency (EPA) transition date of September 15. Transitioning fuel grades has its own set of unique challenges, a process that can quickly worsen in a tight supply chain. In order to lessen the potential for a disruption in fuel supply due to adverse weather conditions near the upcoming RVP transition date, TFFA is encouraging all fuel marketers to contact their retail and wholesale customers to assess needs, spikes in fuel demand, power outages, and other issues of concern. Please continue to keep TFFA informed on your situation as the storm approaches the Texas coastline. TFFA stands ready to request any assistance needed as the conditions warrant. More information will be shared with TFFA members as it becomes available. Thank you and stay safe!